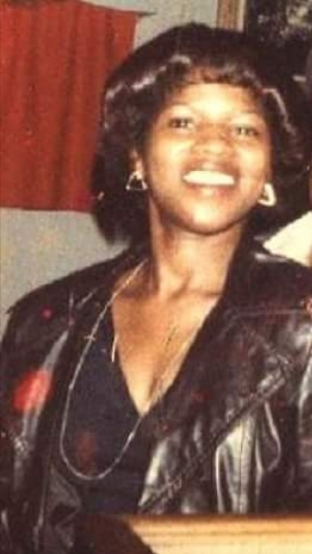 Inez Davis, age 64. was born July 16, 1954 in Urbancrest, Ohio to Nellie Mae and Willie Joe Collins. Inez left this earthly life on July 27, 2018 in Columbus, Ohio. Inez attended Grove City High School and in 1997 later went back to receive her GED. Inez was also known as “NezzPoo”. Inez married Jimmie Davis in 1972 and from that union they conceived three children. She later moved back to Columbus where she birthed her youngest child with Larry Magwood. She was the distinguished woman that would say exactly what was on her mind. Inez is preceded in death by her parents, Nellie Mae and Willie Joe Collins; former spouse, Jimmie L. Davis, Larry Magwood; sisters, Adelle “Deny” Collins, and Lois Collins, and brothers, James Collins, and James Earl Hagans. She leaves to cherish her memory, her children, Jimmie Davis, Slyvella Davis (Bishop Jones), Ineka Davis (Christian Davis Sr.), and Anthony Davis; sister Joanne Cornett and Lanelle Hagans, brothers, Joe Nate (Esther) Collins, Peaches (Linda) Collins ,Willie Collins (Dre), Aleezar (Stacy) Collins; 4 grandchildren, 1 great grandchild, and a host of nieces, nephews, cousins, other relatives and friends. Inez will truly be missed by all that had the privilege of knowing and loving her. Visitation 9:00am and Funeral 10:00am Saturday, August 4, 2018 at Meredith Temple COGIC, 1158 Mt. Vernon Ave. I offer my deepest condolences to your family. My thoughts and prayers are with you at this difficult time. I was saddened to hear about the passing of Inez. She was such a wonderful friend with a sweet spirit. I will always remember the old days growing up with her in Urbancrest. She will truly be missed. My heartfelt sympathies to the family during this difficult time…May your fondest memories bring you joy and may prayers to the God of all comfort strengthen you. My heart is heavy as I sit reminiscing about all the memories I have. Mrs. Inez, was a second mom to me and I will always be grateful for the love she gave me (and the slappn cabbage rolls). I was not able to spend a lot of time with her over the past several years but when ever we did see each other she reminded me even though she was petite she was still in charge! I will miss her dearly but I know she is safe with GOD and rekindling with those in Heaven. She is and will always be family to me and I send my condolences to Jimmy, Slyvella, Ineka, Anthony and the rest family. Expression of sympathy for Inez family. In just a little while all of the pain and sorrow that we feel from the death of our love one will cease and be replaced with joy, because the former things have passed away. MAY GOD BLESSED AND KEEP YOUR FAMILY AT THIS TIME. May God bless you and give you peace family!! Our hearts are with you.